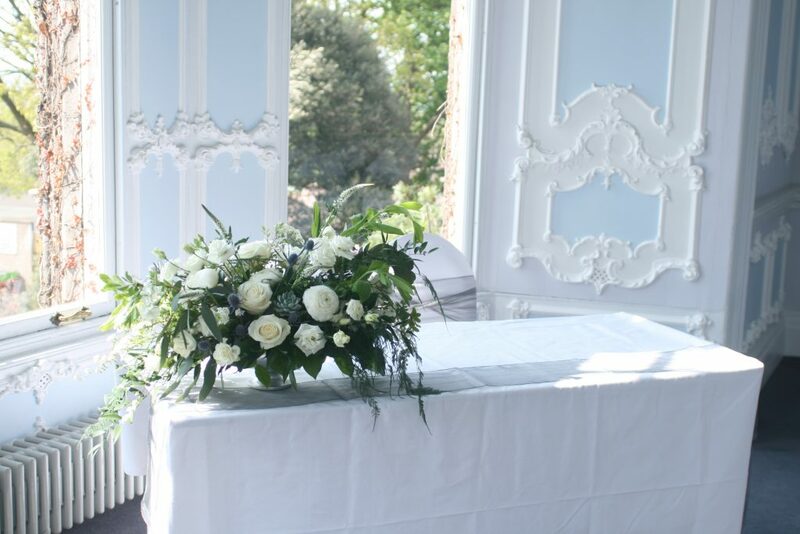 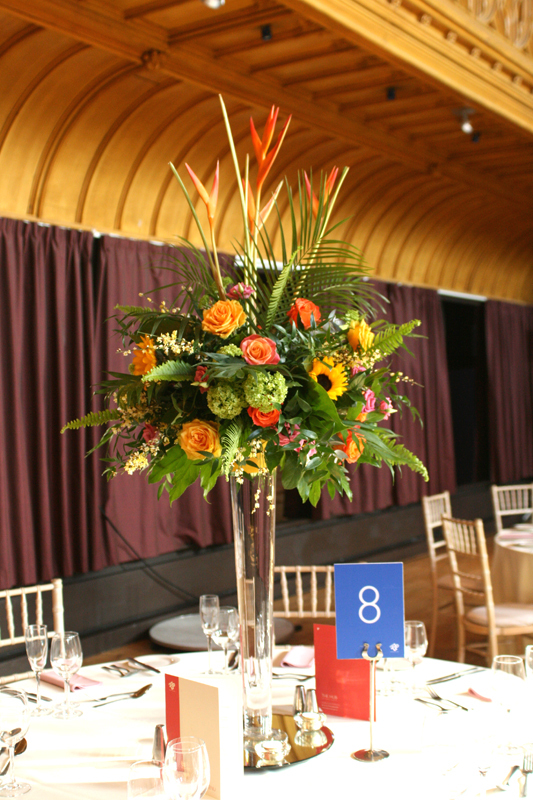 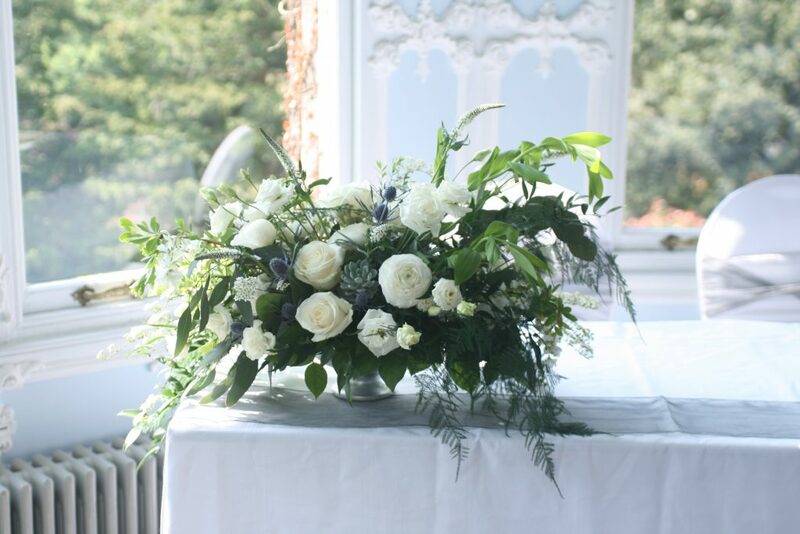 We provided flowers for this gorgeous wedding at the Mansion House at Edinburgh Zoo on Sunday. 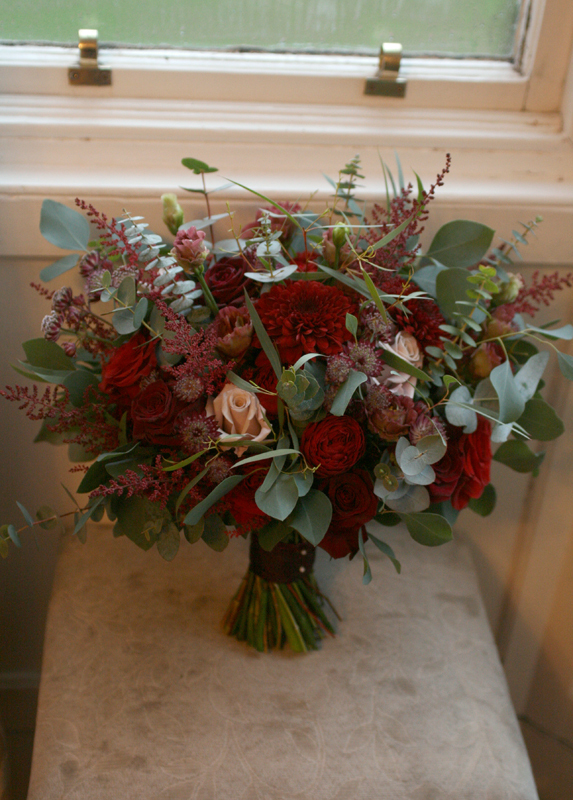 Catriona chose a wild style with lots of varieties of foliage, flowers and succulents. 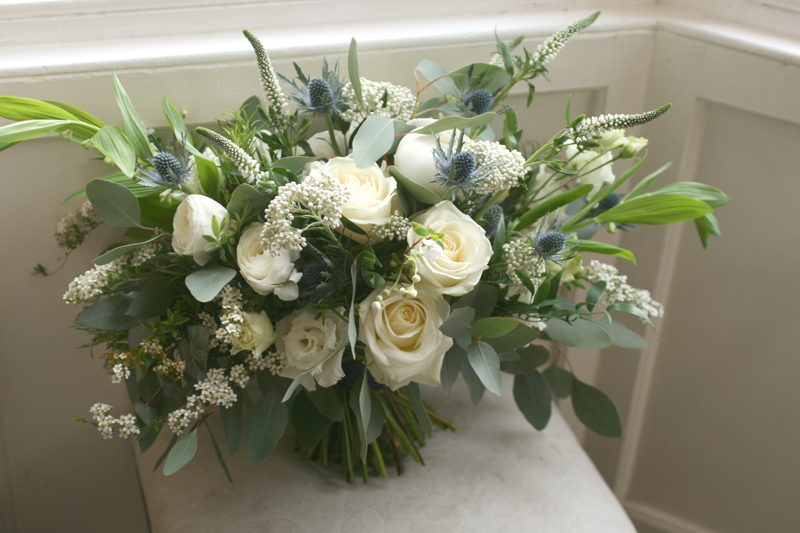 Catriona’s bouquet was a wide loose hand-tied style with roses, peonies, ranunculus and lots of other goodies. 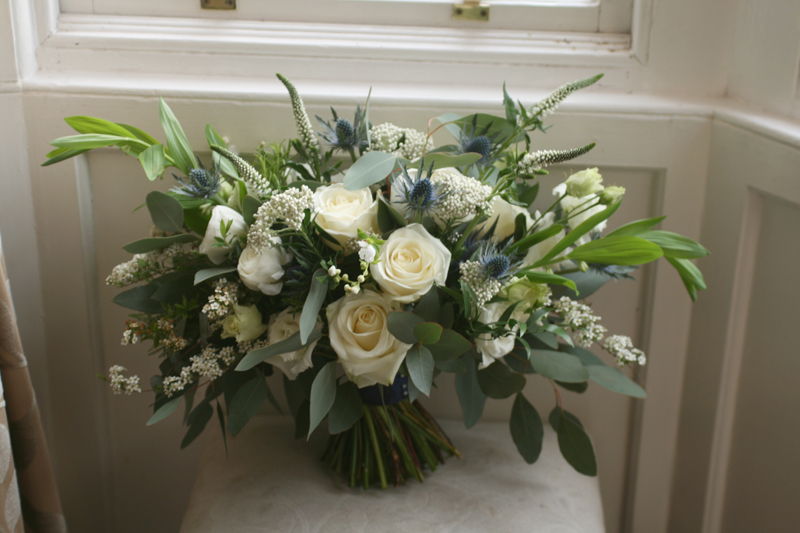 I wanted to add in some more unusual elements so I contacted flower grower Catherine from Cloudberry Flowers in Peebles and she was able to supply some lovely varieties including solomans seal, spirea and honesty. 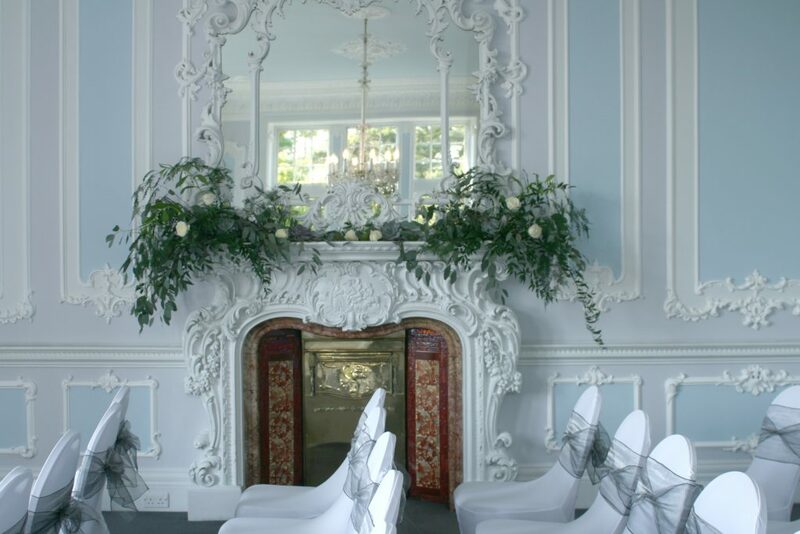 Catriona’s flower girl held a loose wild style pomander and we dressed the mantelpiece for the ceremony and reception rooms. 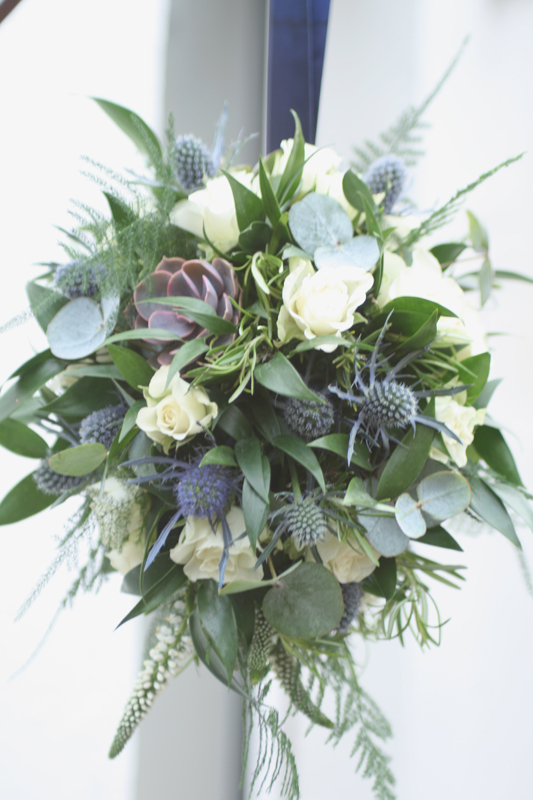 We created a moss based wreath full of foliage such as rosemary and eucalyptus along with some mini succulents. 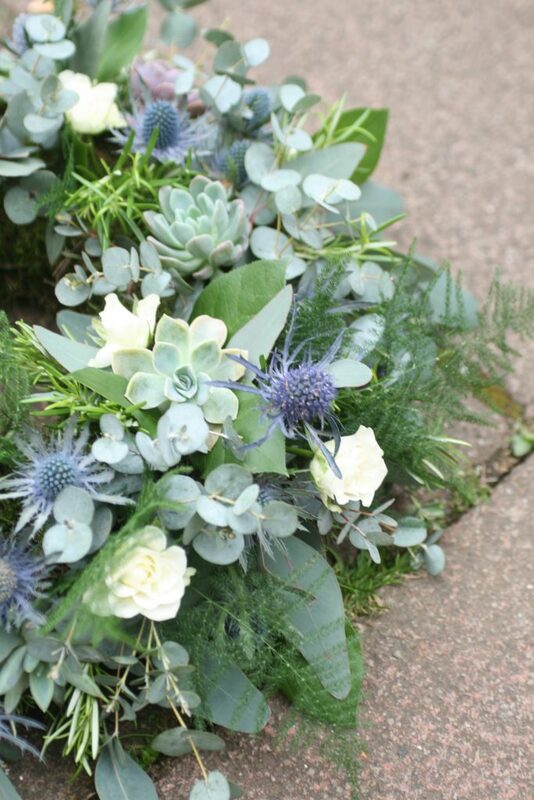 The boys wore mixed buttonholes with mini succulents. 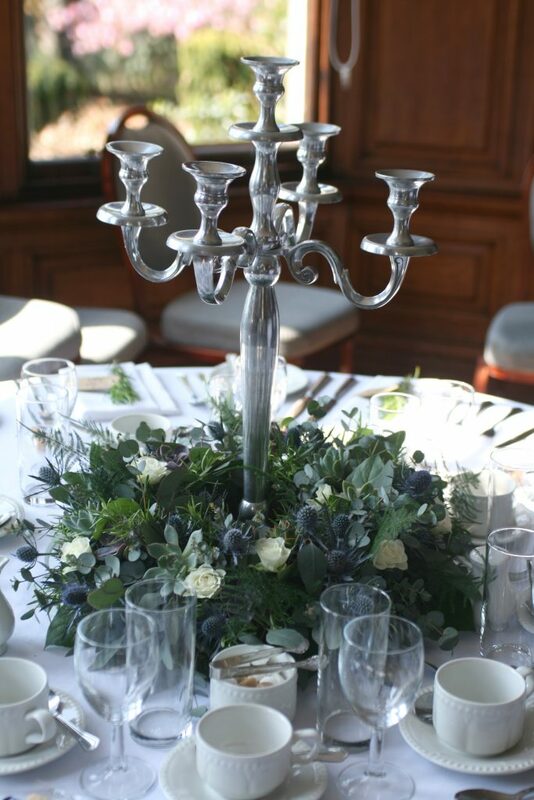 Flower girl pomander with wild foliage and succulents.